This fabulous set of 10 fluffy square cushion pads will bestow new lease of life to your cushions. They will go well with your living room or patio areas. Stuffed with 100% natural duck feathers, our square cushion pads are soft and plump and furnish outstanding lumbar support. 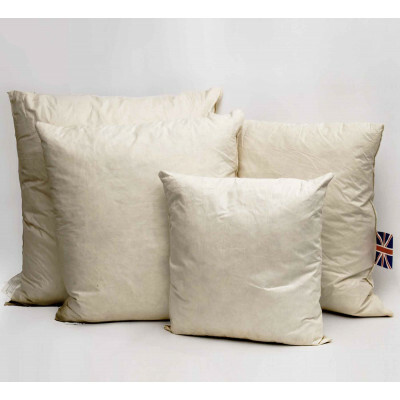 Its smooth cotton casing with Cambric down proofing prevents feathers to peep out of the cushions. Available in various sizes, our cushion pads are highly durable and give excellent support to your back. Our pack of 10 square cushion pads will definitely give you value for your money. Sizes available: 16"x16", 18"x18", 20"x20", 22"x22", 24"x24", 26"x26"